One of the best looking mods on the market if you ask me. At a stunning price! I also own one. They work fantastic. Vape in majestic fashion. SMOK delivers the Majesty 225W TC Starter Kit that comes in either a resin finish or carbon fiber finish. Measuring in at 85 by 46 by 30 millimeters this mod is at the halfway point between compact and full sized, perfect for the vaper that like a bit of presence in their vape equipment but not necessarily a big setup. 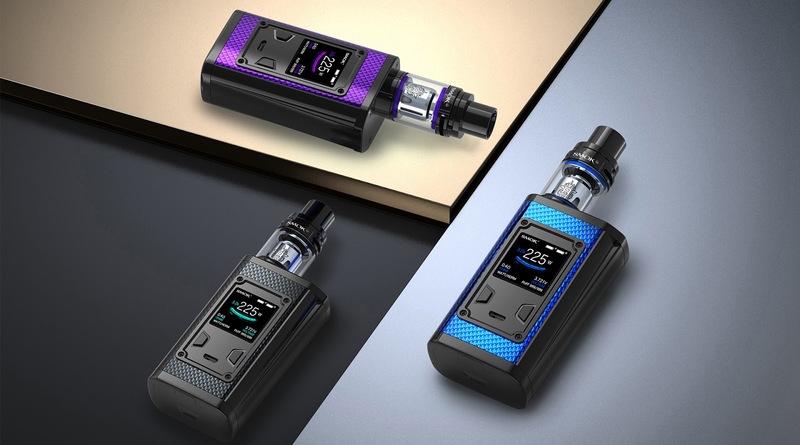 Powered by dual 18650 batteries this kit packs all of the bells and whistles needed for the perfect vape.